Wanting to get your hands on a new Kindle Fire? Bing bing bing! You’re in luck! 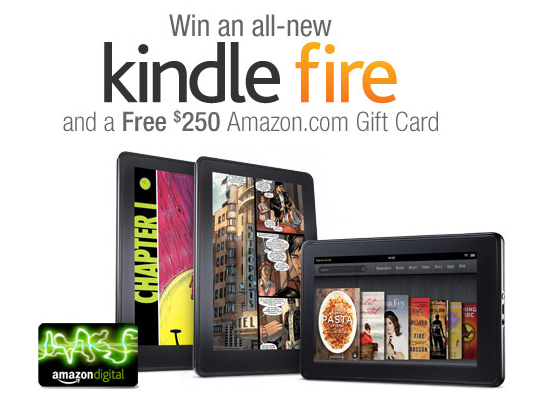 Over at Kindle Fire’s Facebook page, you can easily enter to win a new Kindle Fire and a $250 Amazon Gift Card! All you have to do is enter your name, email address, and a phone number so they can contact you if you win. Finger’s crossed.